The study of spatial language has produced an intense theoretical debate, in both linguistics and cognitive science. In spite of the rich literature produced so far, the topic has still to offer many suggestions for developing new lines of research, thanks not only to the most recent advances in cognitive neuroscience, but also to new data coming from more traditional synchronic and diachronic linguistic studies. The lively state of the art in this field is nicely represented by the present volume, which aims at summing up the current status of studies on the representation of spatial categories with a wide spectrum of topics, ranging from the cognitive aspects of spatial categories to their typological correlates in the languages of the world, from the lexicon of space to grammaticalisation processes, from neuro-cognitive evidence about the representation of spatial categories to L2 acquisition. 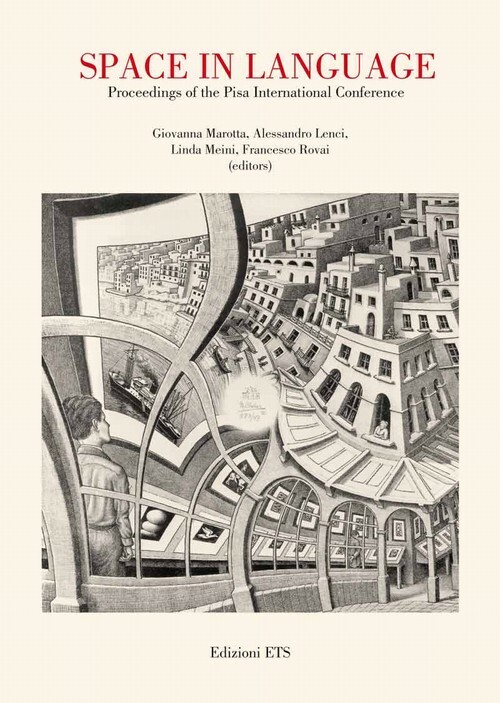 Besides to the contributions of many young scholars working in the field of spatial categories in human languages, the book includes the papers of some of the most widely recognized experts in the study of space and its relation with cognition and language: Giuliano Bernini (linguistic typology), Laila Craighero (cognitive neuroscience), Barbara Landau (psycholinguistics), Pietro Pietrini (neurolinguistics), Domenico Silvestri (historical linguistics), and Leonard Talmy (linguistic and typological theory).